Studies show that 47.2 percent American adults have gum disease. The reasons for gum disease lie in the insufficient care of the oral cavity. Infection affects the gums, resulting in the formation of such diseases as gingivitis, stomatitis, periodontitis. Dr. Sahakyan dentist Glendale, provides top level alternative periodontal treatment for those and other gum diseases. Call 1-818-578-2324 or contact us for an appointment. fistula formation on the gum. 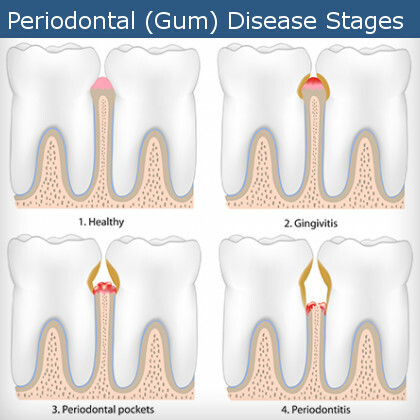 Do not delay with treatment, consult dentist Glendale at the first signs of gum disease. With the timely access to the dentist, these diseases can be cured quickly, without resorting to serious measures. In neglected forms, surgical intervention is sometimes required. The goal of treating gum disease is to reduce the bacterial level in the area of the gingival margin. Gingivitis, or the early stage of gingival inflammation, is reversible and can be easily cured with the help of professional oral hygiene, good home care, and regular hygienist visits. The deep curettage of the periodontal pockets is aimed at removing solid subgingival deposits (“subgingival dental stone”) which is performed with the help of special instruments for the removal of solid subgingival deposits. If you have periodontitis, you may need to visit your dentist every 3-4 months to maintain the oral cavity in a healthy state. Contact Smile Makeover of La to schedule an appointment with the dentist Glendale and give your teeth the care they deserve. The recent emergence of laser therapy has shown a very effective treatment in the early and middle stages of periodontal disease. This method is more effective compared to the surgical method. Laser therapy is usually performed immediately after a deep curettage periodontal pockets. Modern methods of dental treatment can remove dental deposits, treat enamel and restore the gums after stomatitis without pain in just a few sessions. 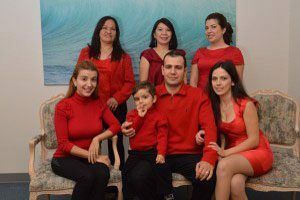 Call 1-818-578-2324 to visit Smile Makeover of LA and get a laser periodontal treatment from dentist Glendale, Dr. Sahakyan. 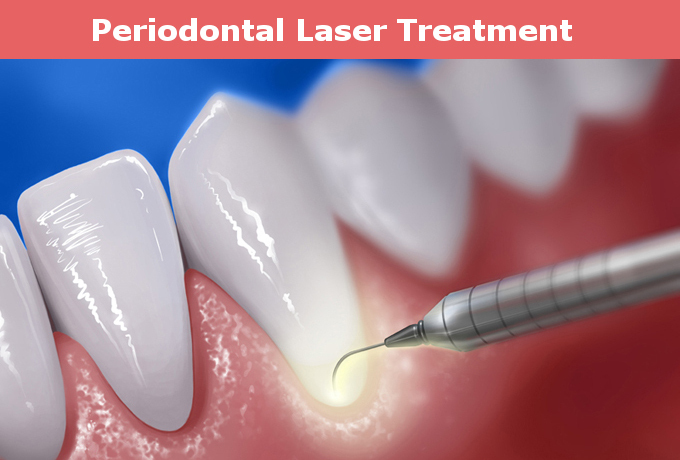 Treatment of gums with a laser occurs in the dentist’s office and entails no complications. With this method, the patient gets rid of gingivitis, complicated periodontitis or another type of stomatitis. The laser is used in the area of ​the gingival pockets to kill bacteria and stimulate the growth of healthy tissue. For laser treatment, no additional preparation and recovery are required after the procedure. 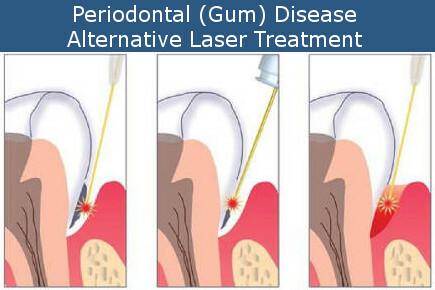 How will the Laser Treat the Gum Disease? In dentistry, laser therapy is used to remove accumulated plaque or carious formations without additional damage to healthy cavities. Laser therapy allows achieving positive dynamics in the treatment of stomatitis in a few days. Laser gum treatment is preferred by doctors and patients who are afraid of pain or discomfort during dental procedures. Depending on the problem, the patient is given a course of procedures. Removing large amounts of tartar is a painstaking procedure: the gums should not suffer. These methods are successfully used to treat periodontitis of any complexity. Several successive procedures give stable positive results. The laser method allows you to reduce the dangerous symptoms from the first days of treatment. The laser beam sterilizes the treated area, destroying the bacterial infection. The procedure rarely causes complications. In exceptional cases, small wounds are formed at the treatment sites, which are cleaned at home using special gels. 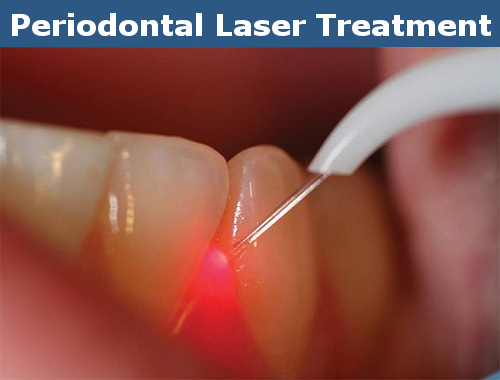 Dental treatment of gum disease with a laser is the fastest and most effective method. Swelling and a slight swelling takes place within a day after the procedure. With the help of a simple procedure, you can remove the main cause of gingivitis or periodontitis – a conditionally pathogenic microflora of the oral cavity. How and Why is the ARESTIN Antibiotic Used? Dentist Glendale, Dr. Sahakyan may also recommend local antibiotics, for example Arestin, to eliminate inflammation in the periodontal area. The antibiotic is painlessly injected into the periodontal pockets, which have the signs of inflammation. 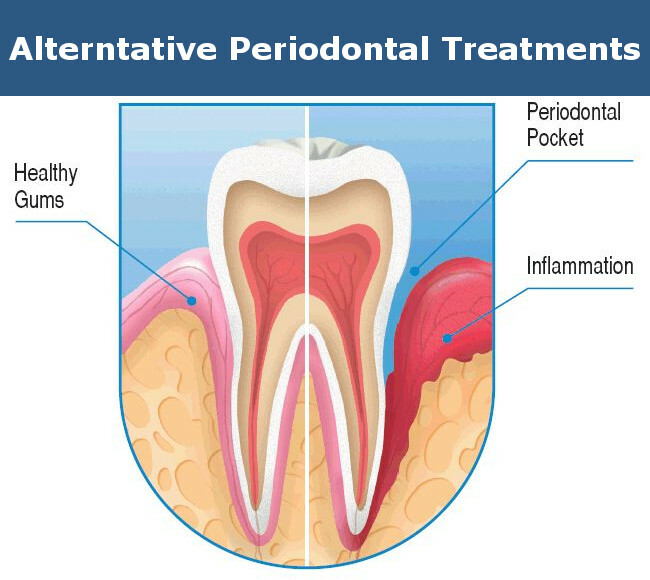 Dentist Glendale will make sure you get the best periodontal treatment possible. Call us at 1-818-578-2324 or contact us to schedule an appointment today. “Arestin” is a drug of the tetracycline class of antibiotics. 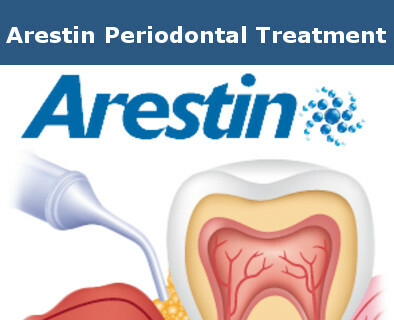 Treatment with “Arestin” helps kill the bacteria that cause periodontal disease. The drug entered into the cavity of the pocket acts for 21 days, reducing the inflammation and depth of the pocket. Local antibiotic therapy is an alternative adjuvant treatment option, which can also be used in the treatment of periodontal disease. Why is the ARESTIN Antibiotic Periodontal Treatment so Effective? The essence of the procedure consists in delivering the antibiotic directly to the periodontal pocket – that is, directly into the place of colonization of pathogenic bacteria. The concentration of antibiotic in the lesion area visibly increases success rate compared to the systemic approach. It is effectively used to treat patients with deep periodontal pockets – 5 mm or more. “Arestin” is also a representative of local absorbable antibacterial agents, which consists of granules of minocycline in the form of a powder. The powder is injected directly into the periodontal pocket, a high level of its therapeutic effect continues for 14 days, and the drug remains in your pocket for 21 days. 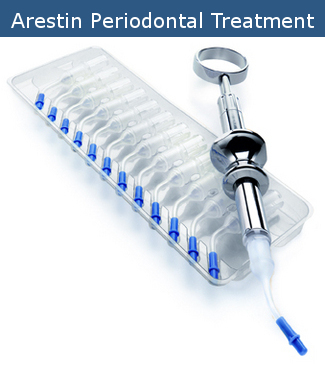 Arestin is usually used right after scaling and root planing, if the gums are infected. Studies have shown that the use of topical antibiotics together with the procedure for complete removal of tartar and cleaning the root surface allows achieving clinically effective results. A decrease in the depth of the pockets and a partial restoration of the disturbed biological attachment is observed. 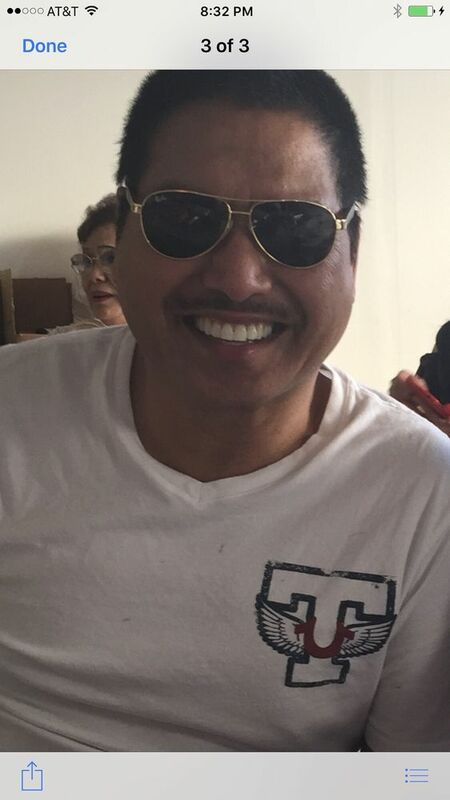 Periodontal treatment is achieved at Smile Makeover of LA by the dentist Glendale and the dental hygienists by alternative methods, such as, laser and Arestin treatments. Call 1-818-578-2324 or fill out the form for a free consultation today.